It appears rumors of the death of winter canola have been greatly exaggerated. Like Mark Twain, who coined a similar phrase in 1897, winter canola — which has recently survived brushes with drought, harsh winters, and a harvest-time deluge — is now getting its second wind. First introduced in the southern Plains region in 2005, acreage of the winter annual broadleaf crop grew to 350,000 by 2012. Dry weather and winter kill in 2013 and 2014, along with harvest problems in 2015, shrank the crop to 100,000 acres last year. That decline prompted one processor in Oklahoma City to close, another in nearby Enid, Oklahoma, to cancel construction plans. Some farmers concluded the crop was finished. Few choices. Sholar explains that farmers in Oklahoma and surrounding states have traditionally had little choice but to grow continuous wheat — a rut that has hampered yields, reduced grain quality, and tarnished the region’s reputation in the market. “We need to rotate crops to clean up winter annual grass weeds in wheat, but there have been very few successful alternatives, so winter canola really needs to work,” he says. The market for heart-healthy cooking oil has raised canola’s appeal. Miami, Oklahoma, farmer Brent Rendel decided to increase his winter canola acres after running crop budgets last summer. “I like to compare the break-even yields at various crop prices that it takes to cover input costs and land rent. When I did this last summer, I figured it would take 28 bushel-per-acre canola and 55-bushel wheat. Although I can certainly grow 55-bushel wheat, my records show I’ve only been able to do that about 35% of the time. However, my canola yields have been above 28 bushels 80% of the time, so although profiting with either of these crops will be challenging this year, I have more confidence with canola,” he says. Lessons learned. 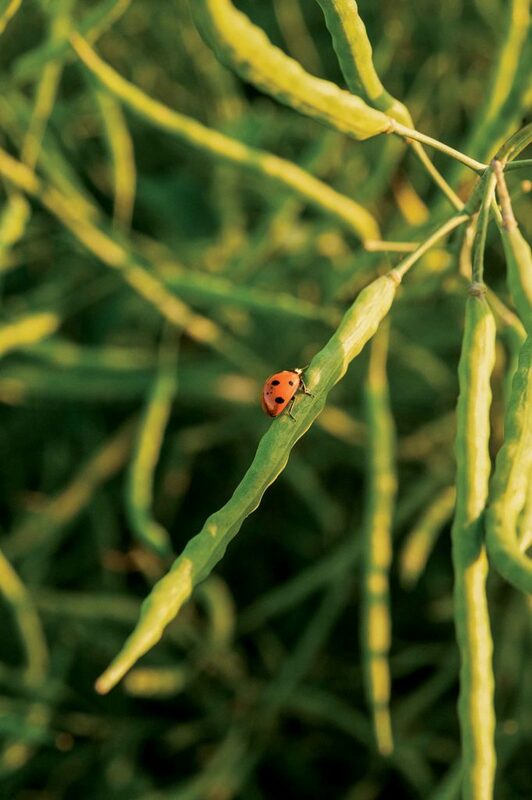 Winter canola’s weak link has proven to be winter-hardiness and the harsh winters of 2013 and 2014 that revealed it are also contributing to the crop’s revival. “It gave us an opportunity to evaluate varieties and hybrids for winter hardiness,” says Mike Stamm, canola breeder at Kansas State University. “Much of the genetics in this crop has come from Europe where this trait wasn’t tested by the milder climate. We now know what’s most winter-hardy and are developing that trait in new releases,” he adds. Schrock is focused on properly timing fertilizer, fungicide, micronutrients, and insecticide applications to get his crop through the winter. “Too much fall growth is a problem, so we limit nitrogen at that time and sometimes depend only on the carry-over. Plant health is also critical, and we’ve experimented with multiple fungicide applications (which can also limit plant growth). And, we have zero tolerance for insects and often include an insecticide with herbicide applications made in the spring and fall as a safeguard,” he says.